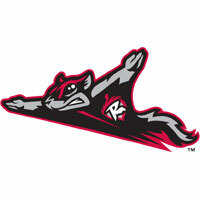 The Richmond Flying Squirrels (9-11) used the only two runs they scored in the series to salvage the finale with the Reading Phillies (13-6), 2-1, on Thursday afternoon at FirstEnergy Stadium. Ryan Cavan didn’t start the ballgame at second base, but he came on for Jose Flores as part of a double-switch in the sixth inning. He was heard from in the ninth inning, blasting a solo-home run to right field that proved to be the difference in the ballgame. Cavan’s second home run of the season came at the expense of Reading right-hander Chris Kissock. Kissock (1-1) took the loss over two innings of relief for Reading. The Squirrels were able to snap a 24-inning scoreless streak when they plated a run in the first inning against Reading right-hander David Buchanan. Wendell Fairley opened the ballgame with a single. Gary Brown followed, and with Fairley running, cracked a double down the left-field line. Fairley motored around for a 1-0 Richmond lead. It marked the first time in the series that the Squirrels had scored and also the first time they held the lead. Buchanan settled in nicely following the early uprising. Ultimately, he worked six innings to a no-decision. He allowed just the lone run on three hits, walked five and struck out four. Richmond starter Mike Kickham shut down the R-Phils over the first five innings, keeping the Squirrels in front, 1-0. However, Sebastain Valle doubled to the wall in center field to open the sixth inning, and Kickham was lifted. A pair of fly balls to right field moved Valle to third base and eventually brought him home to tie the game, 1-1. Jiwan James sent the second fly ball off of right-hander Brett Bochy and recorded the sacrifice-fly. Kickham also didn’t factor in the decision, allowing just a lone run over five-plus innings. He surrendered six hits, walked two and struck out two. Bochy worked two scoreless innings of relief before handing it off to right-hander Daryl Maday. Maday (1-1) bounced back from a loss in Altoona with two scoreless innings of relief. He was rewarded with his first victory of the season. The Squirrels return to Richmond, VA, to open a three-game series with the New Britain Rock Cats (Minnesota Twins) on Friday night at 6:35 PM. Richmond RHP Justin Fitzgerald (1-1, 5.12) will oppose New Britain LHP Andrew Albers (1-0, 4.05). Tickets are available and can be purchased at SquirrelsBaseball.com.